Tutti Frutti Original gummy candies come in a fresh & fruity flavor mix! You'll find 80 grams of strawberry, lemon, pear, raspberry and of course tutti frutti gummy treats! 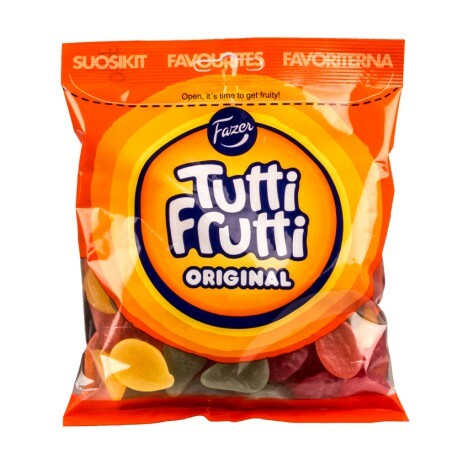 Tutti Frutti Original Gummy Candy is always fresh and priced right at SnusCentral.com! There is no tobacco in any of our yummy Swedish candy. Buy snus which we are famous for if you are looking for tobacco.